PERMANENT WEIGHT LOSS AND FAT REDUCTION IN JUST 1 HOUR! Cryolipolysis is the fastest, safest and most effective method of permanently eliminating excess fat, without painful,expensive surgical procedures. Essentially, cryolipolysis destroys fat cells by freezing the targeted area within the temperature range of +5 to −9 °C. The degree of exposure to cooling causes the apoptosis (cell death) of subcutaneous fat tissue, without apparent damage to the overlying skin. 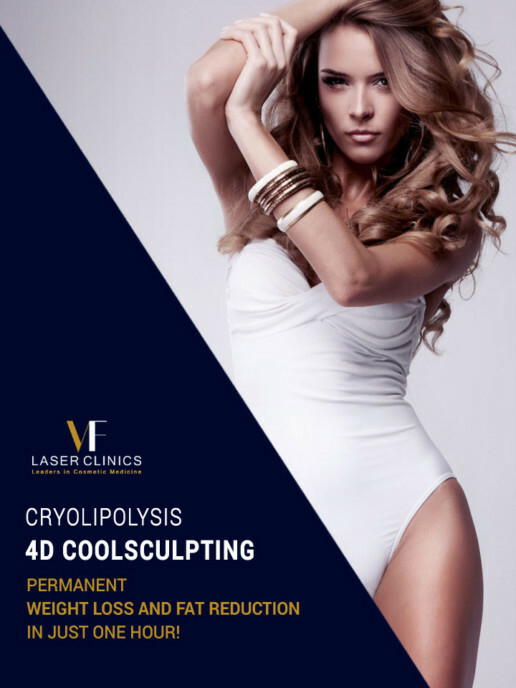 At VF LASER CLINICS we are equipped with the FDA approved, American Cryolipolysis 4D COOLSCUPTING. 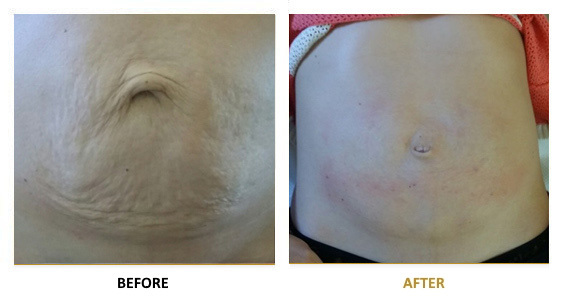 This treatment lasts 1 hour and is the ideal alternative to liposuction. It is non ablative, non surgical, and the patient can go on with his everyday activities right away except from intense physical workout and weight lifting. Non invasive, non ablative procedure. There are no incisions or bandages. Cost Effective. 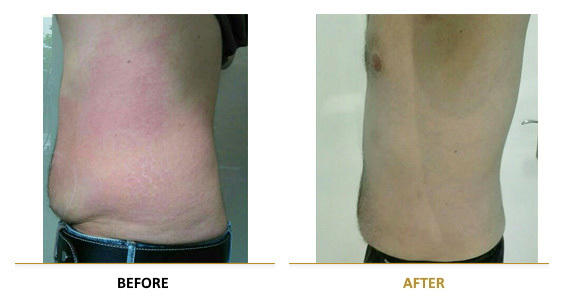 Cryolipolysis is much less expensive than surgical solutions for achieving weight loss such as liposuction. Simple and convenient. The whole process usually takes 1 hour. We are equipped with the American Coolsculpting system COOL 4D™, the ONLY SYSTEM IN EUROPE that requires only ONE SESSION for permanent fat loss. 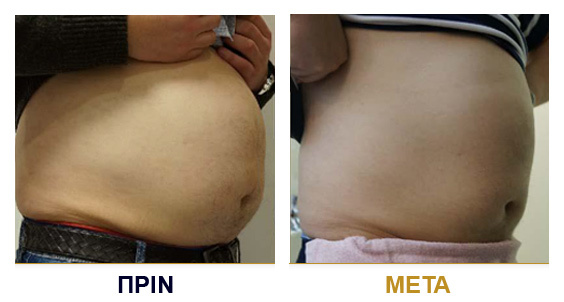 CoolSculpting targets specific areas of fat cells and applies controlled cooling. The fat deposits of our body along with the fat cells immediately die on contact with the machine and they then flush out of our system via the urinary tract over the course of 1-2 months. Unlike invasive procedures, 4D CoolSculpting involves no downtime. The technology is FDA approved, and there are no artificial substances involved. AM I A CANDIDATE FOR THE 4D COOLSCULPTING PROCEDURE? The 4D CoolSculpting fat-reduction procedure is specifically designed for those who have excess fat in targeted areas like stomach, hips, legs, arms, etc. It is suitable for anyone over the 18 years of age. The CoolSculpting procedure is FDA-cleared for the treatment of visible fat bulges (in the submental area, flank, abdomen, and thigh) and is proven to be a safe and effective treatment. Millions of CoolSculpting procedures have been performed worldwide, and for the time being, it is the #1 non-invasive fat reduction protocol!